Champagne Wishes and RV Dreams: Fun with Friends in Colorado Springs! 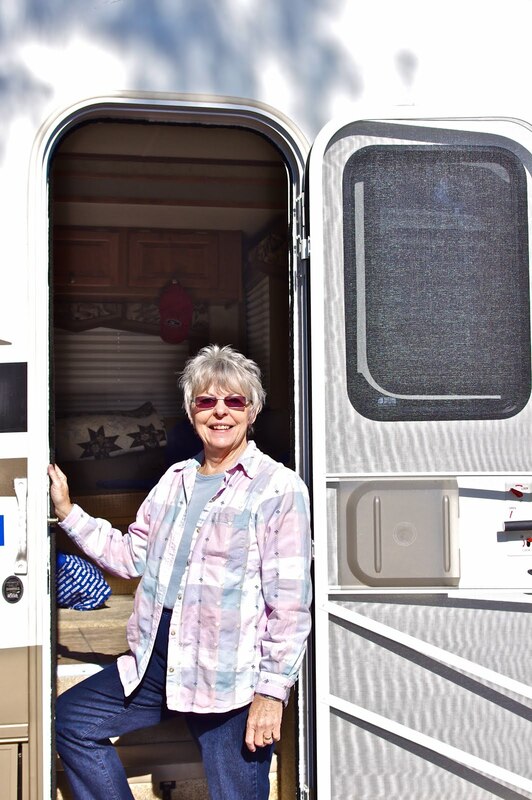 We are spending the week with some wonderful friends of ours who live in Colorado and have the same RV that we do! Every once in awhile our schedules work out that we get to spend some time together and meet up and camp. 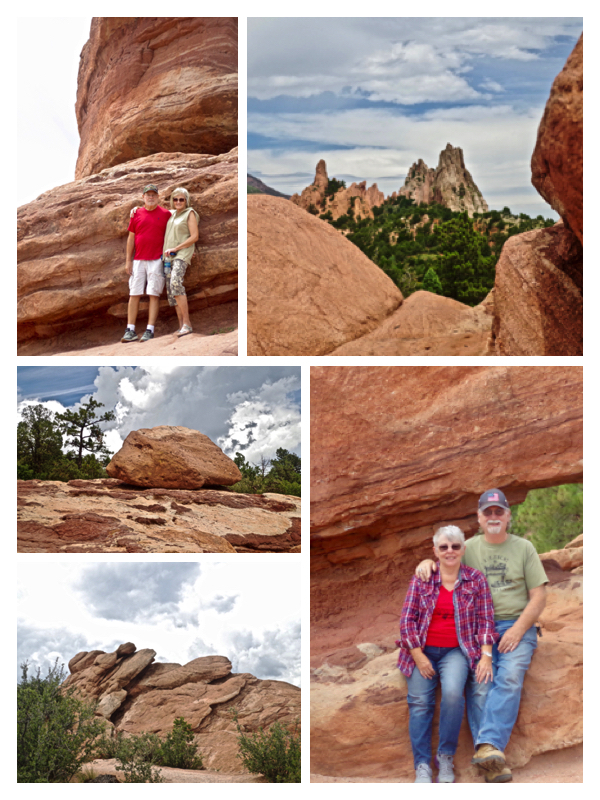 This week we were able to spend a week in Colorado Springs at Garden of the Gods RV Resort. Since this is their "back yard" they were kind enough to play tour guides and show off their state! We spent every day seeing the sights and having a grand ole time...it's going to take a couple of blogs to share it all! 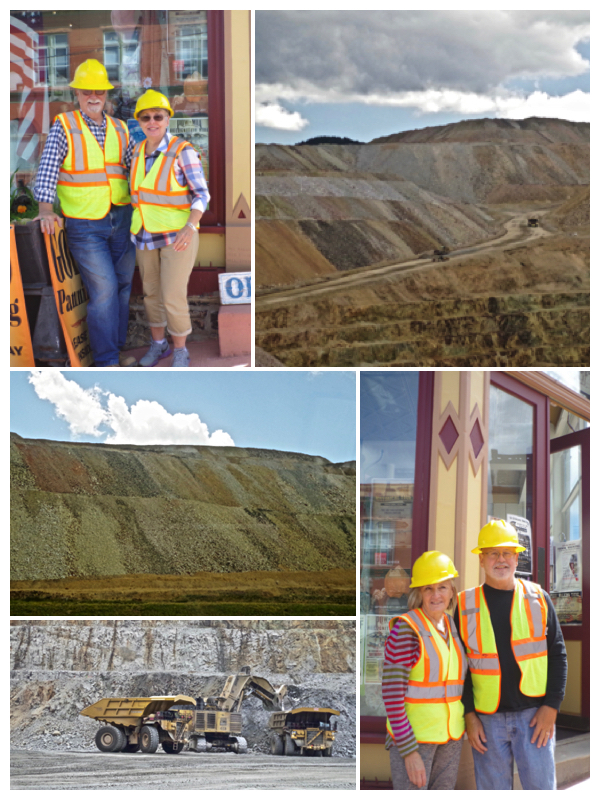 We started our week off with a tour of the gold mine operation of the Newmont Mining Corporation in Victor. We even had to don hard hats and vests, as this was a serious tour! What an operation they have, we really learned a lot here. This is an above ground rock pit, where trucks make about 30 trips a day hauling rocks that do, or don't have gold in them. 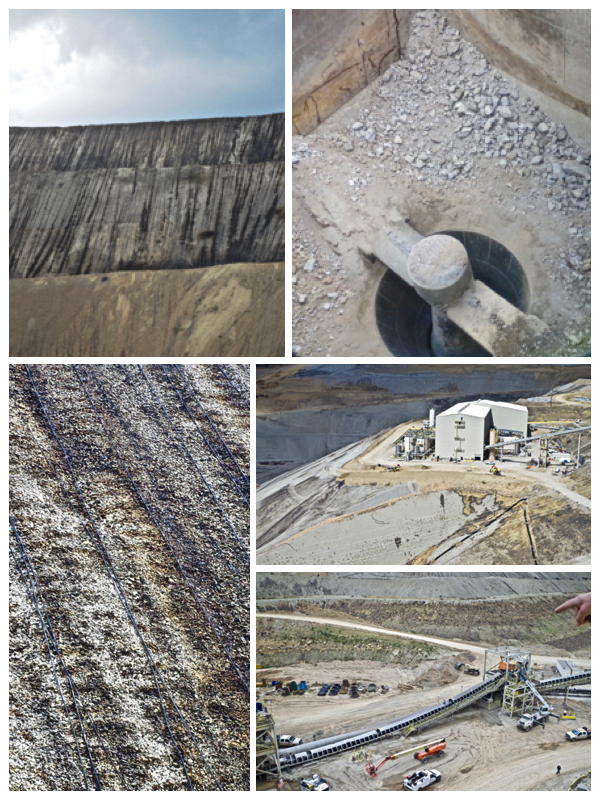 The sections have been pre-drilled and sampled to determine if they do or not, so if the trucks are being filled with rocks that do have gold, they go to the rock crushing area, if they don't, they then go to the "Overburdon Stockpile" that will later be used to fill the pit back in when they are done with it. The "rock crusher" does just what it sounds like, making big rocks into to tiny ones that then goes onto a conveyor belt that drops them into a series of screens to further sift them down. Ultimately they wind up going through a leech line with chemicals that slowly works out the "gold", finely sending it to the processing room where it's readied and formed and then sent out. This is commercial gold used mostly for things like inside I Phones, etc. However, several years ago a large shipment was turned into gold leaf and the Colorado Capitol Dome in Denver was covered with it, so that was pretty cool! This is one of several gold mining operations this company has, and feel that they will be mining here for at least another 10 years. They have 600 employees, with half being female (with equal pay) with an average annual pay of about $72,000, working 12 hour shifts. Victor was a cute little town, not very big, and I would bet most of the inhabitants work at the mine! 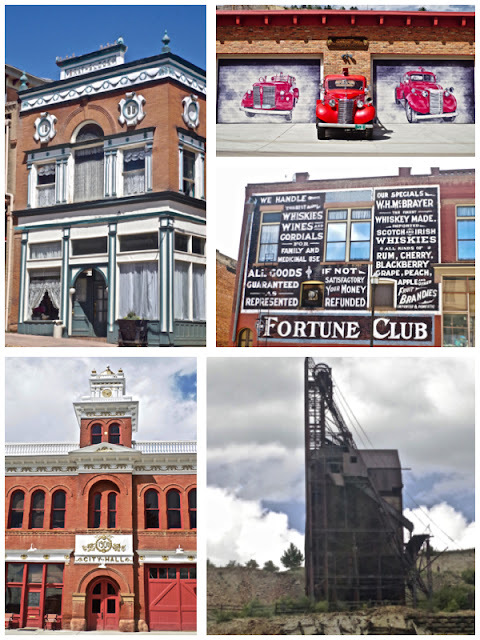 You can see it's gold history everywhere, from old mining shafts still up, to old ads painted on the buildings and the 1900's buildings now being used as stores and restaurants. The following day we checked out the small Garden of the God Park just outside of our campground. It's a pretty setting in a car. 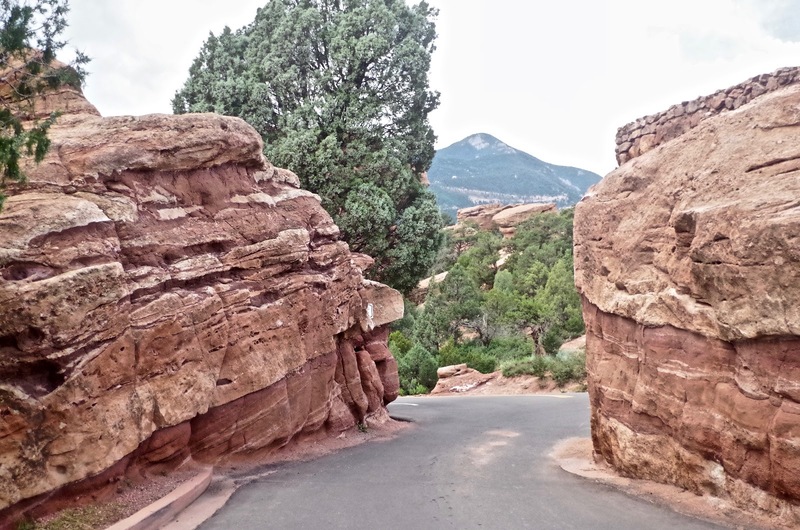 We had accidentally headed into it with the RV on our way to the campground a barely made it through the entrance! 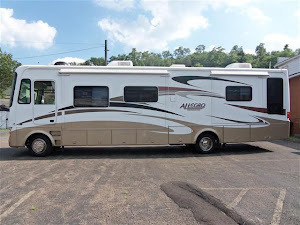 I had to get out and guide us through with absolutely no room to spare on either side of the RV, but...we made it through without a scratch! Sure would not want to ever do THAT again though! Phew! After our little jaunt in the Park, took in the historic Old Colorado City. 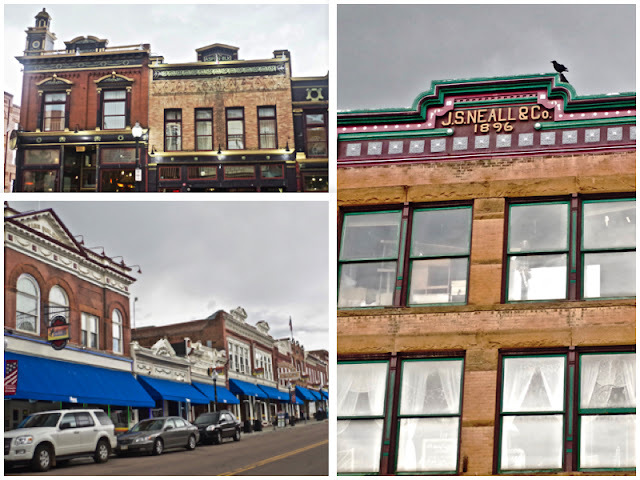 Another cute little town. Had a wonderful lunch at a quaint restaurant and then just headed back to camp. The small entrance we came through!